I would like to congratulate each and every citizen of our country for the first victory in the present war against corruption. A word of caution here, the first battle has been won but the war is far from over. Still, the positives that have accrued from Anna’s ongoing fast against corruption have been numerous and the major ones need to be enumerated. The first and foremost is a clear and unambiguous message to the political establishment that people cannot be taken for granted forever and they need to lose the power-drunkenness they are suffering from. That politics is the last refuge of the scoundrel is a well known adage but it may change yet. The bureaucrat –politician- criminal nexus that has held this country ransom for so many years may find their immunity snatched away rather rudely. Secondly, it has shredded the cloak of helplessness, hopelessness and apathy that had enveloped most of the citizens of this country and given them HOPE. Most of us had simply accepted that corruption has seeped into the very fabric of our nation and nothing can be done about it. Now we know that anything is possible and the mantra of Satyamev Jayate has been resurrected. Thirdly, it has given us all a true leader whose whole life till today has been a saga of selflessness. Also, it has highlighted the role positive activism can play in shaping the destiny of a nation. 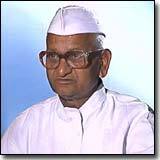 In addition to Anna Hazare, people like Arvind Kejrival, Kiran Bedi and Swami Agnivesh will act as role models for our youth . Moreover, it has shown the power of media. The principled and courageous coverage of the agitation by both print and electronic media was instrumental in the eventual victory of the people in this battle. I wish that our media keeps up the high standards of reporting demonstrated this time and serves the people of this nation without fear or favour. Lastly, it has demonstrated the power of internet and social networks like blogs, facebook and twitter. The battle may have been fought at Jantar Mantar but it was won in the cyber-world and I am sure that this will act as a powerful weapon against corruption in future as well. Once again, congratulations to all the soldiers of this mission and JAI HIND.